Hitler committed suicide on April 30, 1945. World War II was winding down, and many Germans looked forward to its end. Not the fanatical SS men though. They prowled around, executing deserters and those who hung out white sheets in anticipating of Allied troops. High in the Austrian Alps, Wehrmacht Major Josef (Sepp) Gangl got in touch with an Austrian resistance cell, determined to help prevent fighting against the advancing American army and the destruction of bridges and roads. 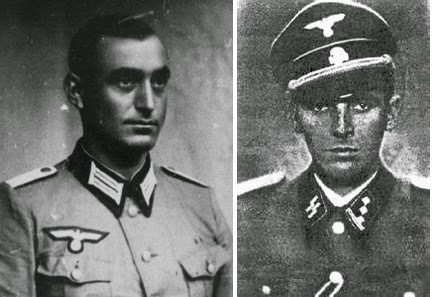 SS Captain Kurt-Siegfried Schrader also turned from the Nazi mindset. Assigned as a supply officer in the Tyrol, his only goal was to protect his family whom he’d moved to Wörgl. Both Gangl and Schrader learned of VIP prisoners in danger nearby. Important people who were famous or powerful or valuable and who might have value in negotiations with the Allies were held in relative comfort in hotels and castles throughout the Reich. The thirteenth-century Schloss Itter held several French citizens, along with Eastern Europeans brought from the Dachau concentration camp as servants. 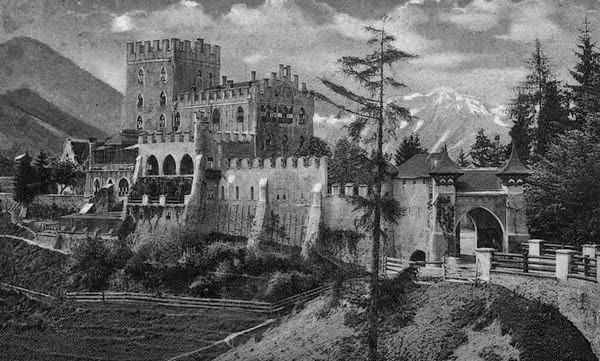 After the commandant committed suicide and the guards fled, the prisoners remained sequestered at the castle because of marauding Waffen-SS troops. The French were a querulous lot. Among them were bitter rivals, former prime ministers Édouard Daladier and Paul Reynaud. General Maurice Gamelin had been sacked by Reynaud after Germany invaded France. Reynaud recalled retired General Maxime Weygand who, hoping to save France from destruction, sought an immediate armistice. Reynaud and Gamelin were horrified to see Weygand and his wife arrive at Itter. Others included labor leaders, Vichy government workers too vocal in their disdain for the Nazis, and relatives of prominent people, like Charles de Gaulle’s sister and brother-in-law. Instead of supportive camaraderie, they existed in fractious segregation. Several spent their days writing their memoirs that vilified their fellow prisoners. For a brief time, they united to plan their survival. Messages went sent with the Croatian handyman, Zvonko Čučkovič, and the Czech cook, Andreas Krobot, to find the American army they knew was nearby from broadcasts on a hidden radio. They also summoned Schrader and formally asked him to ensure their safety. Čučkovič found the lead elements of the U.S. Army in Innsbruck. Waiting for the commanders to arrive that night and for a rescue to be organized would take time. Cycling to Wörgl, Krobot was taken to Sepp Gangl. Gangl knew he and his dozen men couldn’t prevail over a well-armed Waffen-SS attack. He hurried to Kufstein, seven miles away, with a white flag. There he found Captain Jack Lee and his tanks, spearhead of the 12th Armored Division, awaiting word of a cease-fire. 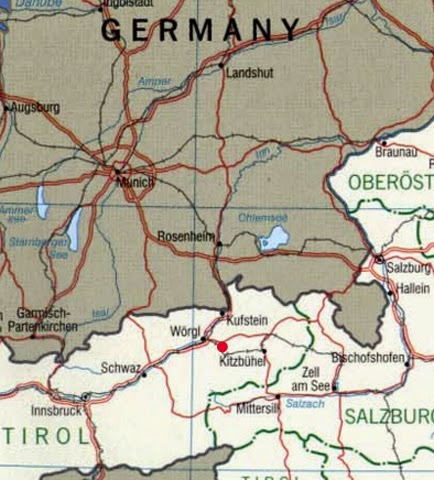 The red dot marks the location of Itter. Lee accompanied Gangl back to the castle to reconnoiter, by now late in the day. After meeting Schrader and the French VIPs, he returned to organize his rescue effort. Seven tanks set out for Itter, but three turned back after a small, old bridge started to collapse after the fourth tank crossed. Two more had to stay at Wörgl to bolster the town’s defense against roving die-hard soldiers. Gangl summoned more of his men to reinforce Lee’s group. They continued on—two tanks, fourteen American soldiers riding on the tanks, a German kübelwagen (a jeep-like vehicle) and truck with ten German soldiers. The second tank was left to guard a bridge that was the only route back to American lines. Lee’s group broke up a Waffen-SS roadblock and he realized the situation was deteriorating. He immediately deployed the men around the castle and distributed their weapons. They had little, and were likely to be badly outnumbered in an attack. Schrader informed Lee that they’d seen two antitank guns pulled into position. The attack came just after 4 the next morning. Four hours later, the defenders spotted a 20mm anti-aircraft cannon and an 88mm gun brought into place, both fearsome weapons. Also, 100-150 men of the 17th SS Panzer-Grenadier Division were deployed around the castle. They had spent the previous four hours probing the castle’s defenses. Now they were ready for business. The Waffen-SS also posed a threat to the advancing U.S. forces. Lee wanted to notify them, but his tank’s radio was inoperative. Schrader offered a novel idea: use the telephone. Gangl placed a call to the resistance leaders in Wörgl to spread the word. Lee’s tank was soon destroyed and rounds from the 88 began slamming into the castle. Five of the Frenchmen retrieved guns and began firing away with the soldiers, exhibiting more enthusiasm than skill. Skirmishes with the SS had slowed the arrival of the relief troops. Ammunition was running low, and Gangl was killed by a sniper. Then the telephone rang. Lee was able to tell Major Kramers, leading the Americans, how dire their situation was becoming before the line went dead. Just as a squad of Waffen-SS men positioned their panzerfaust at the front gate, the sound of tank guns and automatic weapon fire heralded the arrival of the American relief force. The SS disappeared into the woods. The attack had lasted twelve hours on May 5. The Americans would not have been able to safeguard the French VIPs without Gangl, his men, and Schrader fighting alongside them. The French returned to their squabbling. You always have such interesting posts!